Oh – look, the baby puked all over the bedroom. Well, let’s clean it up and THEN maybe we could… Ah, what’s that noise from the kid’s room? Someone having fun with the Lego bricks who should long be asleep, maybe? Right. You get him to bed, I clean up the mess Baby made with the book shelf while I was cleaning up the bedroom and THEN we’ll sit down and watch a movie. 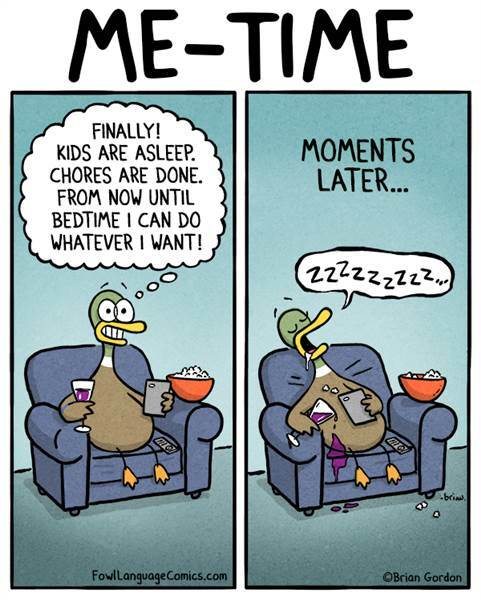 Or… sleep. Most likely sleep, tho. Definitely sleep. For at least 30 minutes before someone figures out how to switch the lights back on. I have no idea how single parents do this but I bow before thee! 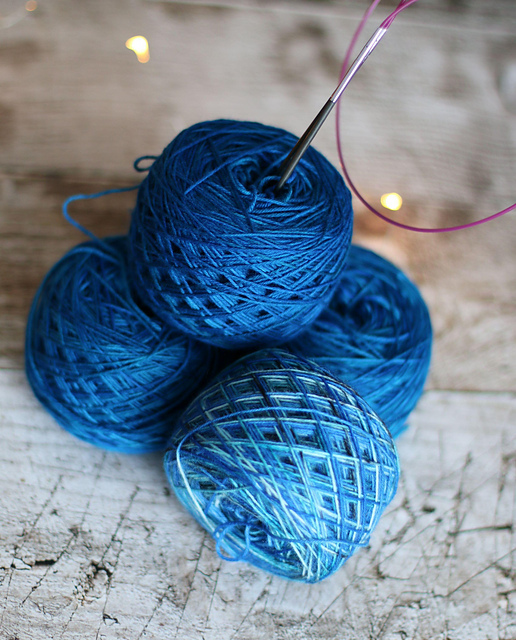 Let me catch you up with what’s been happening knitwise (or purlwise) in the last few weeks. To my own astonishment I still manage to get a few things done. Don’t ask me when or how, it just seems to happen when I’m not looking. Like this little kitty who tries hard to look like this Aristocat. I’m never quite happy with the faces, but the recipient loved her very much, so I take that as a compliment. 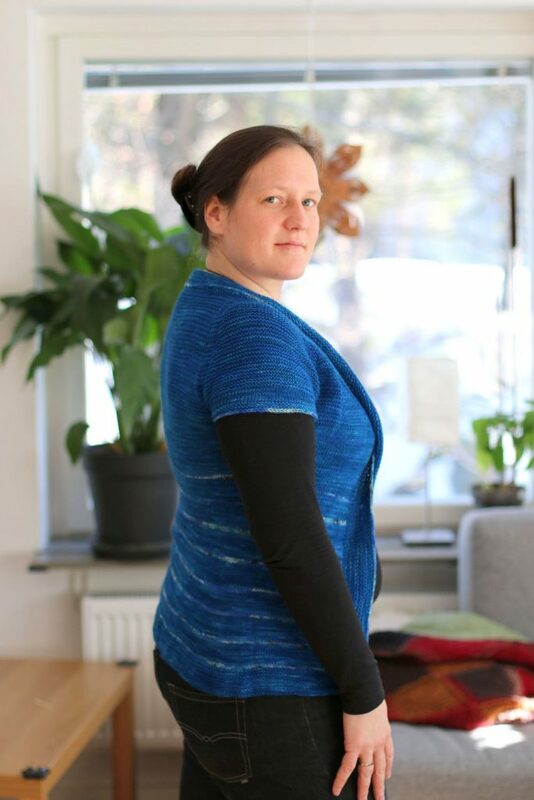 I chose a pattern to follow roughly (I needed some kind of stitch number to orient myself on), so I chose Paulie, by Isabell Kramer (it’s a free pattern available in 6 languages and quite straight forward and easy to follow). It’s your basic top down raglan with some extras, so it’s really versatile. And made for sock weight yarns. Then I was a little undecided. I really like short sleeves and layered looks, so I think short sleeves would look good, although it’s still really cold up here and long sleeves would serve well, too. But I went with short sleeves in the end, as hope dies last and I haven’t given up hope yet that spring will come one lovely day. By this time it’s already lying on the blocking mat and I’m praying that the I-cord Bind off is not going to draw everything together. I’m not super happy with how the collar looks on me. I might have to knit another cardi and skip attaching a collar and button band in the end. Here’s a snap of the finished cardigan. I still love the colour! I will have to redo the bind off, though, as the three needle bind off is not flexible enough and the collar keeps flipping up. 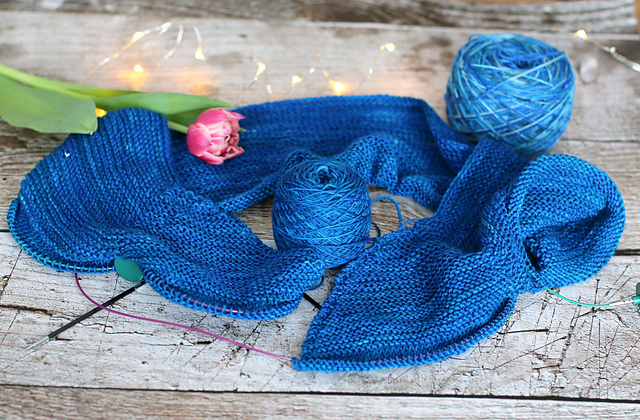 I’ll probably do a stretchy bind off instead and hope that it fits better that way. So now that I’m done with my own stuff (apparently for forever) my husband wants more socks. and he’s been pestering me about it for a while now. Not so bad, you say, and indeed i wouldn’t mind so much knitting a million pairs for him if only his feet were not size 47!! That stupid second sock syndrome gets me only when knitting for him. And no surprise, really. So for now he seems happy (although he constantly asks weather I’m knitting a new pair for him now… Seriously… That guy. As my husband is a real bigfoot (size 47 EU – 13 US) these socks won’t go as easy as my regular socks. And also he is really picky. 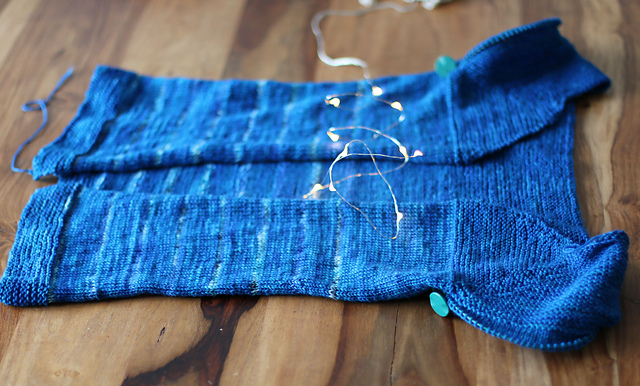 Therefore Lucky Me has the choice of standard k2 p2 ribbing or the spiralling socks that you saw above ( k3, p3 for three rounds, then move the whole k3 p3 one stitch to the left… Not really an interesting knit but apparently it keeps its shape very well). Well. 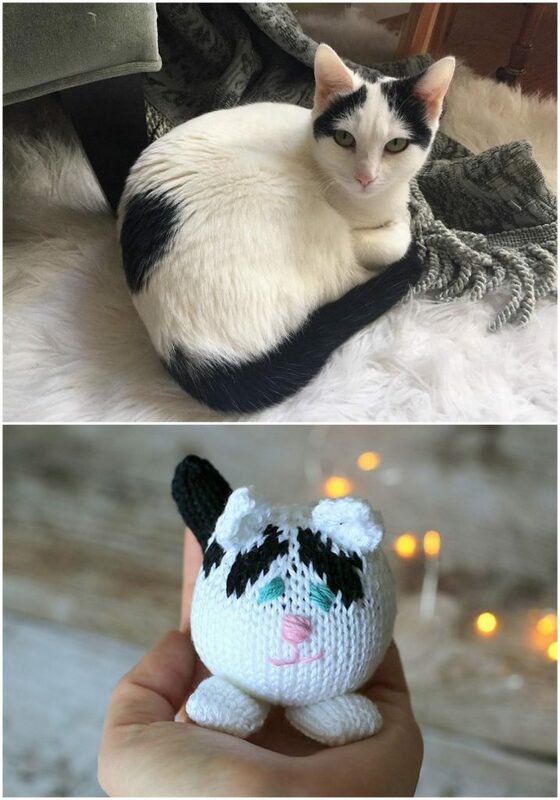 Vanilla-socking it is. But at least I can go crazy on colours. I might even make a pair of scrappy socks for him, just for fun. 😛 Can’t wait to cast on the next pair. I think I might put to 24 small packages, each one containing a different single sock so that he has to wait until he can finally wear them (serves him right, hehe) and put the other 24 in a beautiful box as a Christmas/birthday gift (because he is a Christmas baby and I’ll need two gifts anyway). Hope he’ll like that. 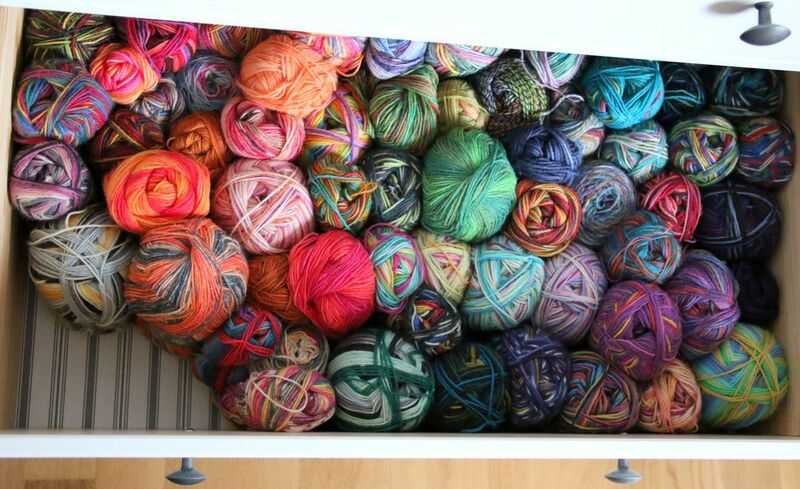 Now off to the Sockables Drawer!! Hi! Can’t tell you how I found you, because I got so caught up in reading you! 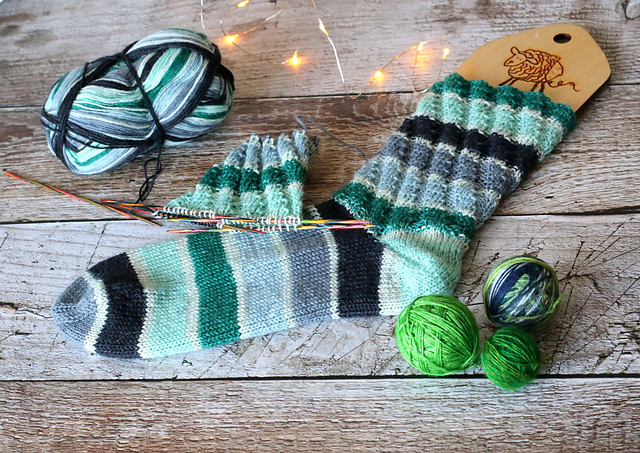 Can you please tell me what that sock pattern is above? I love them. Or the basics of the spiral? I want to make some now!!! Thanks and keep on knitting!